Lower your Monthly Payment with a Refi! Refinancing is the process of replacing an existing mortgage with a new loan. Typically, people refinance their mortgage in order to reduce their monthly payments, lower their interest rate, or change their loan program from an adjustable rate mortgage to a fixed-rate mortgage. 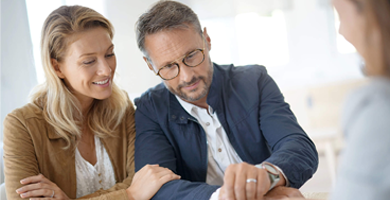 Learn more about the refinance options we have for you. Get a better rate, consolidate debt and keep your term the same! Why start all over with a 30-year loan, when you can have a term equal to your current term. Call Silver Leaf Mortgage for more information! 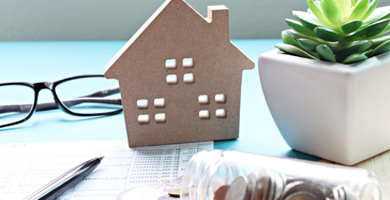 If you are considering refinancing your home and you need (or could use) a lump sum of extra cash, you can borrow against your home’s equity. Let Silver Leaf Mortgage find the perfect loan solution today! Reduce Your Monthly Mortgage Payment Simply and Quickly with a VA Interest Rate Reduction Refinance Loan or VA streamline loan! Call Silver Leaf Mortgage today and speak with one of our mortgage specialists! Looking for flexible loan terms? Silver Leaf Mortgage allows you to pick your loan term as well as your monthly budget! Refinance your loan today and pay off your mortgage early! Give us a call today to learn more! Learn how combine your outstanding credit card debt and other loan balances into one low rate monthly payment! Let Silver Leaf Mortgage help you utilize the equity in your home to get your finances under control! Silver Leaf Mortgage provides a program where you can go up to 95% on a conventional mortgage, and save hundreds of dollars per month by not paying the mortgage insurance in addition to your regular mortgage payment! Want more information on refinancing? Visit one of our expert learning center articles to learn more. How much does it cost to refinance a mortgage in 2019? Learn how to eliminate debt with a Cash out Refinance. Get the facts on the VA IRRRL Home Refinance Program. Kathy Muni did a great job. The whole process was simple and very professional. We love the paint job on the house and deck. Our neighbors commented that it was a really good job! They asked for the Silver Leaf Mortgage card. I highly recommend Silver Leaf Mortgage! Exceptional! Great service throughout the entire process. Thoughtful, caring, addressed every concern promptly and in words anyone could understand. I was very pleased with the help and guidance of Bob Muni and associates. It is a big relief to have my finances in order for the future. I will continue to refer Silver Leaf Mortgage. Great service! Silver Leaf went the extra mile – eliminated minor glitches that were holding up approval. Jim Doyle did a wonderful job! We would recommend Silver Leaf Mortgage to our friends! Refinancing will help if your current payment is high, your current interest rate is higher than current rates, you need to consolidate debt, or you want to own your home in a shorter period of time. How much will I be able to lower my monthly payments? Interest rates are at historic lows. Monthly payments depend on your current interest rate. Lowering your interest rate by just 1% can save you hundreds each month. Equity increases naturally as you pay down your mortgage balance. You can also help it grow by completing home improvement projects or renovations..
Can I access the equity in my home to pay off debt? You can use cash-out-refinance to make renovations on your house. This is one of the quickest ways to increase the value of your home. You can also use the money to pay for college and to pay off debt!